Stunning cover girl who almost nagged a spot in the B western roster, Betty Jane Graham took the family route and retired before reaching any true milestones. Betty Jane Graham was born on December 24, 1917, in Minneapolis, Minnesota, to Henry Duncan Graham and his wife, Edna “Mae” Kelley. Her older sister was Muriel Graham, born in Wisconsin in 1913. (IMDB lists her DOB as 1920, and she doubtlessly tried to make herself look younger when she hit Hollywood, but the 1930 census lists her at 12 years old, so that sounds about right). Her father was a Wisconsin native who wed her mother, an Illinois native in the early 1910s. The family moved around a lot, first living in Wisconsin, then living in Minnesota where Betty was born, moving to Indianapolis, Indiana, then Kansas City, Missouri and in the end settling in Emory, DeKalb, Georgia. Her father, who was college educated, was a film industry sales manager, including his longest and last employment with Universal as southern district manager. The family, while not rich, was well off. Betty changed schools a lot as a child, and developed a special interest in the performing arts. She decided to become an actress, and went on to study at the American Academy of Dramatic Arts in New York. To make extra pocket money, she started modeling and was soon a sought after model. 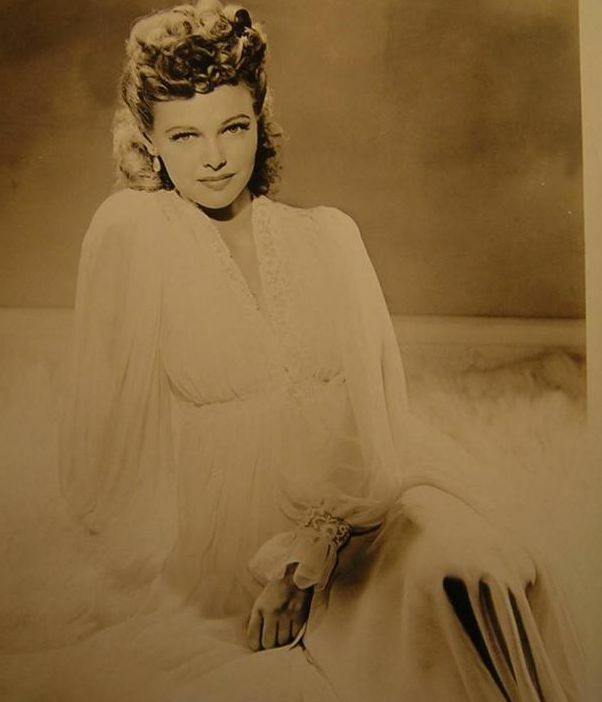 In 1943, she was summoned to Hollywood to act in Cover girl, a Rita Hayworth movie. Her first credit is Cover Girl, a now classic Rita Hayworth/Gene Kelly Technicolor musical. While today remembered primarily a springboard for the two stars (Gene Kelly, loaned out from MGM; finally got the treatment he deserved at his home studio after this movie, and Rita crawled out of the B movies and supporting role sin A movies and got her due with Gilda and other great movies), it’s a fun, sweet movie nonetheless. Rita is simply enchanting, and Gene, while his character is somewhat of a jerk, redeems himself with his superb, athletic dancing. A great and breezy way to pass an hour and a half! 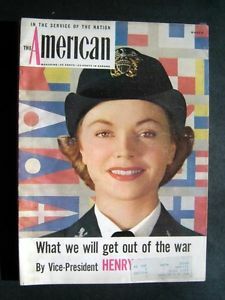 Betty was one of 14 cover girls who appeared in it. The others were Betty Jane Hess, Eileen McClory, Dusty Anderson, Jinx Falkenburg, Helen Mueller, Anita Colby, Francine Counihan and so on. Unlike many of her fellow cover girls, Betty stayed in Hollywood for a longer run. Her second (uncredited appearance) is in Louisiana Hayride, quite a predictable and ultimately unfunny comedy with Judy Canova in the lead. When Judy’s the lead, it’s clear what kind of a movie it is – featuring hillbillies and showing their (mis)adventures around the US. While Judy is as good as ever, the movie lacks everything else – a good story, common sense and originality. The supporting actors are also only so-so. 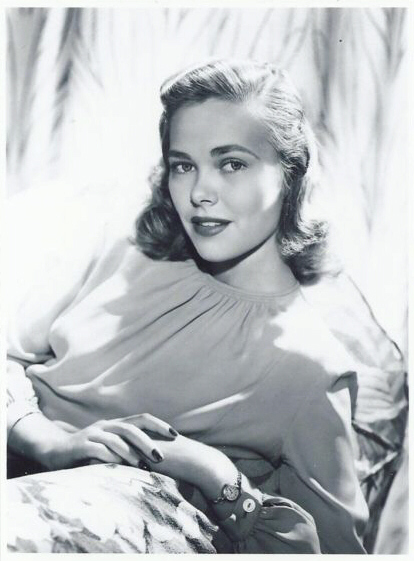 Like fellow model Eileen McClory, she appeared in They Live in Fear, a WW2 propaganda movie about a German intellectual who escapes Nazi Germany after seeing his professor being killer in the Dachau concentration camp. His life in America is soon threatened by a careless mistake of a colleague. Like many of the propaganda movies, it’s zero art and all “giving a message” film, but that’s what is to be expect of it. Plus, it gives Otto Kureger, a superb actor, a chance to play the lead (he was mostly a support in A class movies). The movie is little seen today and can be tagged as sadly mediocre. Betty reached the pinnacle of her career with Rough Ridin’ Justice, a B western where she played the lead. From an uncredited extra to the lead in just one step, whoa, and to add a bonus, it’s a decent, well made B western. The story is interesting enough, and the movie flows seamlessly from beginning to the end. Betty got kudos from the critics for her performance, and should have stayed in B western movies if she wanted to continue her career. Yet she did not, opting to retire to raise a family, and thus it was bye bye Hollywood. Betty did not have a tumultuous love life, nor did she make any shocking newspaper headlines. Betty Jane married her first and only husband, Robert Defiel, on July 23, 1944, in Los Angeles. Robert Matthew Defiel was born on July 15, 1916, in Minnesota to Matthew J. Haller, a prominent civil engineer, and Caroline E. Linder. An insurance broker by trade, he was married once before to Ani Kaster in October 1942, but they were divorced in 1943. His brother, George, was to become the president of Colorado and Southern Railway and Fort Worth and Denver Railway. Betty Jane gave birth to her only child, daughter Kellin Graham Defiel, on August 21, 1947. Both Betty and Robert were actively involved in running their business, which specialized in construction bonding. Defiel became a distinguished citizen of Claremont, and was active in the local politics – he endorsed his friend Fred Warner Neal for Congress in 1968. Robert was a golfer who played golf at Red Hills in Rancho Cucamonga, and Betty Jane preferred tennis and swimming. Both were sailors. The family moved around, living in Laguna, then Oregon and Palm Springs. Her daughter married Kenneth Scudder in 1995. Betty Jane Defiel died on July 1, 1998, in Palm Springs, California. Her husband remained in Palm Springs, where he died on December 24, 2007. Most female models in the 1940s and 1950s served their due for a few years and happily gave up their jobs for marriage and family. Jean Colleran was one of the few models that lasted more than a decade and became a powerhouse in the industry. Jean Pershing Colleran was born on September 7, 1918 to Michael Colleran and his wife, Jeannette Hemmings, in Manhattan, New York City, New York. She was one of four children – her older siblings were Walter M. and Blanche M., her younger sibling was John R.
Jean’s mother was an England native who immigrated to the US and married Michael in the early 1910s. Jeannette stayed connected to her family in England, and the children went overseas at least twice to visit their grandparents and other relatives. Jeannette’s sister, Maizie, also came to New York at some point, and was living with the family in 1940, along with her son Michael Eby (named after Jeannette’s husband). Jean attended George Washington high school in her birth city, and later became a talented artist and sculptor studying at the Art Students League in Manhattan. 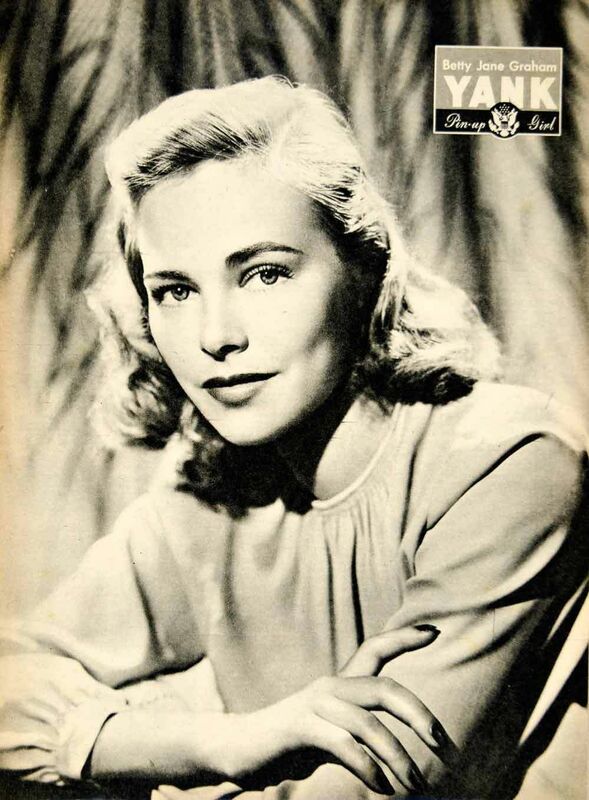 She started modeling while still a schoolgirl, in 1936. Due to her exquisite face, she was quick to become a leading model by the time she was 20 years old. She even purchased her own home and lived in Riverdale, New York, for a time, while her parents lived in Kew Garden Hills, Long Island. Her one and only credit is Cover Girl, a now classic Rita Hayworth/Gene Kelly Technicolor musical. While today remembered primarily a springboard for the two stars (Gene Kelly, loaned out from MGM; finally got the treatment he deserved at his home studio after this movie, and Rita crawled out of the B movies and supporting role sin A movies and got her due with Gilda and other great movies), it’s a fun, sweet movie nonetheless. Rita is simply enchanting, and Gene, while his character is somewhat of a jerk, redeems himself with his superb, athletic dancing. A great and breezy way to pass an hour and a half! 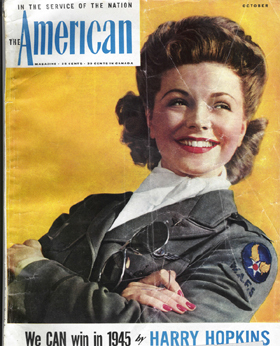 Jean was one of 14 cover girls who appeared in it. The others were Betty Jane Hess, Ceceilia Meagher, Dusty Anderson, Jinx Falkenburg, Helen Mueller, Anita Colby, Francine Counihan and so on. Many of the high fashion models of that time married very well. In fact, I’m sure that more models married millionaires than chorus girls and Hollywood actresses! From the 14 Cover girls, several of them married upwards. Jean was a refreshing change from his rule. While the other capitalized on their faces and bodies, Jean remained devoted to her high school sweetheart, Robert Foster Fuchs. Foster was born to Herman and Josephine Fuchs in 1916 in New York (I guess he changed his surname to Foster at some point). Their wedding, held on August 1943 in Beverly Hills, turned into a media extravaganza since all of the 14 cover girls attended it. And they all kissed the groom! On a funny note, of all the eligible bachelorette girls, the 5 year old model, Cheryl Archer, caught the bouquet! The couple honeymooned in Florida before Robert was off to Europe to fight in WW2. Foster got his moment of fame, being married to one of the foremost models in the country. A touching story about Foster was featured in the papers in November 1944 – after not seeing his wife for more than a year, he dozen off during a movie screening on the French-German battle line. When he was awoken by the whistle of a GI, the first thing he was was Jean’s face, looking down at him (they were watching Cover Girl), and he was sure he was still dreaming! Very sweet! I have no information about what happened to Foster, but I assume he returned from the war and the couple resumed their apple pie marriage. Jean’s Hollywood career never going off the ground, and she worked in New York from then on. Babs Ferguson, formerly with Hartford Agency, and Jean Colleran Foster, former model, have formed a new firm, Foster-Ferguson Agency, to provide advertising agencies and film firms with models for commercials. The new firm is at 141 East 44th St., New York. The agency will provide both male and female models, providing screening service before sending models to casting directors. So, Jean ended up being a successful businessman too! What a lady! One of her most famous protegees was Martha Stewart, who modeled when she was just barely out of her teens); Virginia Booker, Frances Huff (who was romanced by the Maharaja of Baroda), and the list goes on. The agency was still working in the 1960s. Jean married her second husband, Daniel Lynch, sometime in in the 1960s. The marriage was terminated, either by his death or divorce, in cca early 1970s. Hero firefighter Francis Cruthers, who rose through the ranks to become chief of the Fire Department of New York, and later saw his son reach the same position, died yesterday at 73 following a long illness. Cruthers became chief of department, the highest-ranking uniformed position, in 1978 and remained in that post until his retirement in 1981. His son Frank served as chief in 1996 and 1997 and is now an assistant chief with the department. The two are the only father and son to serve as chiefs, a department spokesman said. Following a stint in the army, where he parachuted into Normandy on D-Day, Cruthers joined the department in 1949. He served in all five boroughs and was cited twice for heroism. Cruthers was named Bronx borough commander in 1973 and was promoted to head of the Bureau of Fires in 1976. He held that position, now called head of Bureau Operations, until his appointment as chief. Cruthers is survived by his wife, Jean, four children and 10 grandchildren. Jean did not remarry after Cruthers’ death, and lived for a long time in Southampton, New York. Later, she went on to live with her nephew and niece Joe and Leeanne Healey in Palm Beach Gardens, Florida. Jean Cruthers died on April 14, 2011 in Florida.